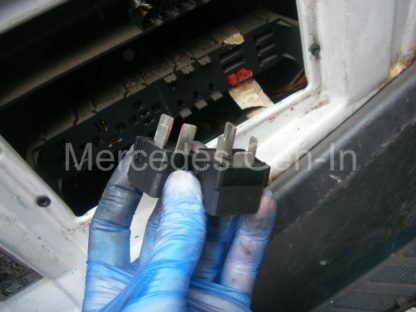 One of the 2004 long wheel base Mercedes Sprinters developed a problem where everything was fine under moderate throttle openings but once full power was called for, the van would register a fault and lock into limp home. Recycling the ignition cleared the fault, until the next wide open throttle and call for high power. A great deal of work had been done on this particular van over a short period and most of the regular problematic contenders covered elsewhere on this subject had been dealt with. We knew we had good fuel delivery, good fuel pressure, sound boost and good induction hose-work. New sensors had been fitted on both low and high pressure points on the system and the only fault recorded was low boost. 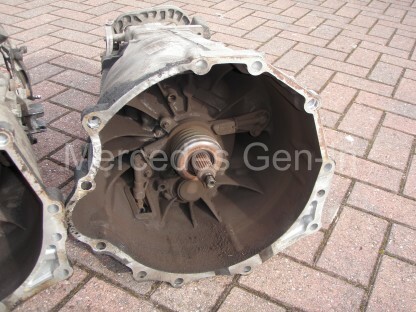 We had previously seen another fleet operators Sprinter register low boost and discovered that the intake air filter was completely choked with muck and grime, this was not the case with this van. Examining for mechanical issues became a primary focus as all the electrical systems were sound and cross-referring their readings on ‘live data’ proved their adequate function. In driving the vehicle with the code reader connected, we were able to see that maximum turbo boost was never achieved at full power, but was seen approaching moderate peaks at more modest and lazy throttle openings. Often the van would perform fine unladen and fail consistently when loaded, slipping into limp home as soon as the driver tried to make good progress. I removed the airbox and checked the vacuum pipework from the brake servo to the boost control valve and everything was in good order. 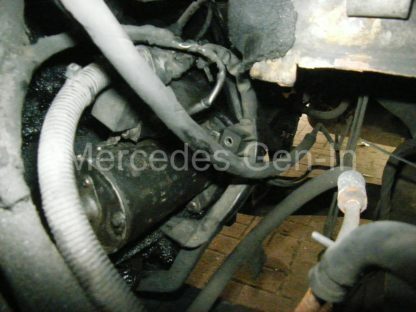 I removed the supply pipe to the turbo actuator and double checked this for problems such as nicks, cuts and splits – nothing. 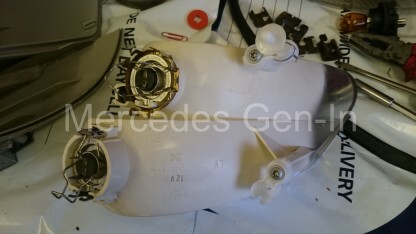 The lever arm to the turbo was free and this was confirmed by removing the circlip from the eye of the actuator arm and manually operating it to prove there was nothing wrong within. My next test was to push the actuator rod back into the actuator and be certain the movement was unhindered and smooth. The next test was to block the vacuum pipe opening with a finger, allowing air to be expelled while I pushed the rod inward. Closing the gap with moderate finger pressure should be enough to hold vacuum inside the diaphragm, making a ‘popping’ sound as the rod springs back to its extended position when you release your finger. I noticed the fitted actuator was not doing as it should in that respect as it was not ‘popping back’ to an extended position. 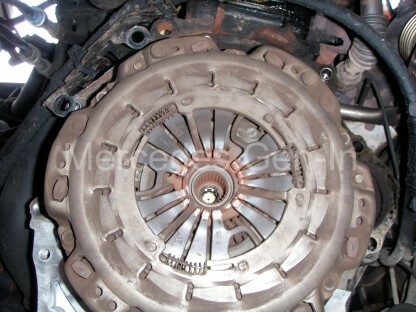 Indeed, careful observation proved that the rod was moving very slowly to a fully extended position with a finger blocking the port, indicating a failure of the internal diaphragm – probably a slight leak or pin-hole. This would under normal circumstances been difficult to spot as it had not failed completely. 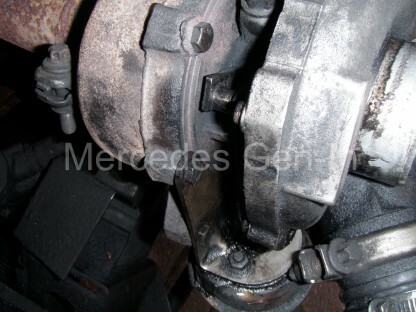 The actuator still pulled the turbo lever to a fully down position once the engine was started. However the small leak meant that the on-off pulse control of the actuator, given by the Pulse Width Modulation (PWM) of the vacuum control valve, was not as it should have been – resulting in under-boost on high power call situations. 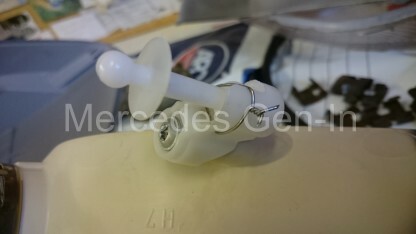 The replacement of the actuator although fairly straight forward in mechanical terms, is a bit of a fiddle to accomplish, as one of the mounting bolts is a good finger-stretch into the confines of the turbo and takes some jiggling to get the pin back into position and tighten it. There are three 10mm bolts into the exhaust side of the turbo scroll casting. These hold the actuator support bracket and also clamp the spool cartridge face against the turbo scroll casting flange making a gas tight seal. 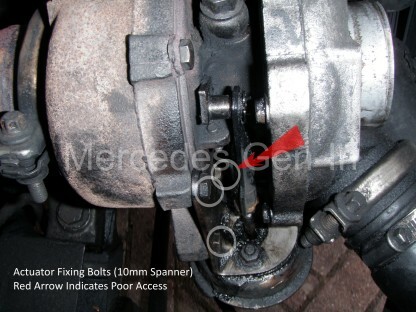 Once these three bolts are removed and the circlip removed from the rod/lever, the actuator can be removed for inspection. 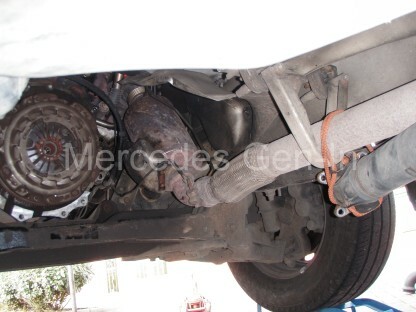 Access to the area is best achieved by removing the complete air box, the turbo intake hose and brake servo vacuum pipe. Once these components have been removed, additional removing the vertical heat plate/shield that separates the air box from the turbo assembly is essential to obtain free access to the three actuator fixing bolts – especially as one is a real swine to get to! 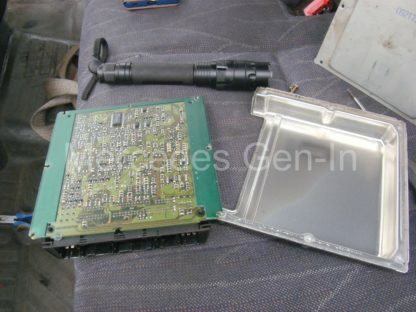 It is important to set the actuator arm/rod length of the replacement part to the same dimension as the original. 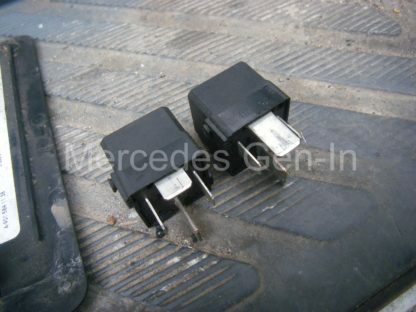 This is critical in that it effects how the vanes are positioned within the turbo for any given actuator setting. Simply measure the new rod length to the old one and make adjustments using the 10mm lock-nut and thumbwheel provided on the actuator rod. Lock the setting once you have it and ensure the hole in the rod eye is positioned in the correct plane to accept the lever bar of the turbo once reinstalled. Rebuild is the reverse of disassembly from this point. 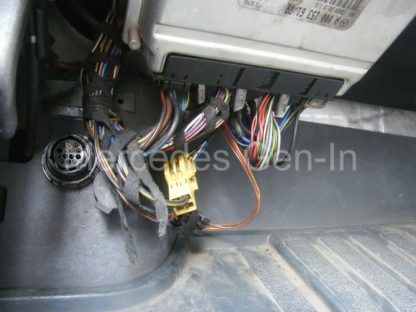 Once fully built, check your work and clear any remaining fault codes and then road test the vehicle. Once again boost should be available through the complete power range and it should react smoothly to engine loading, just as it did prior to the fault occurring. 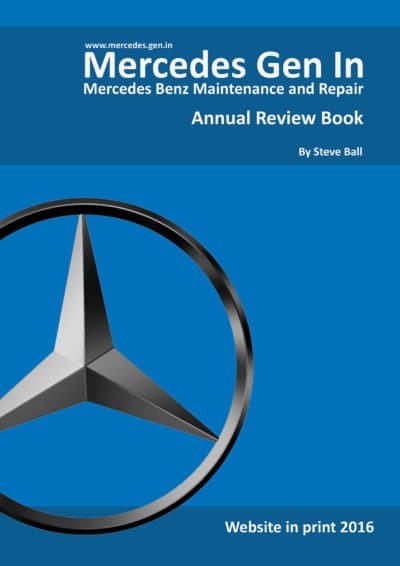 Please be sure to use the comprehensive site search facility to find what you are looking for (Just enter your search term in the search box on the top right and click search) – There are many informative Mercedes posts on this this site, just waiting to be viewed! 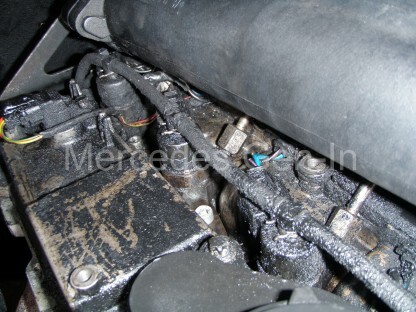 In a recent Mercedes Sprinter engine replacement (Used engine fitment) it was noticed at the time of purchase that there was an issue with No.2 Injector seal leaking. Obviously this needed attention and there was more chance of being able to remove the stuck injector once the engine was fitted, than try to do the work on the engine prior, as it would simply move around the floor with the physical effort involved! What I did do before fitting the engine was to get rid of all the carbon ‘Black-Death’ build-up due to the leaking injector. This involved careful chipping and clearing the cables, connectors and pipes that were buried beneath the charcoal coating. If you want a really clean and sparking job, I can recommend a none-acidic oven cleaner for a final dressing, but in this case it was cleaned to a ‘practical degree’ that fitted with the age and condition of the vehicle. 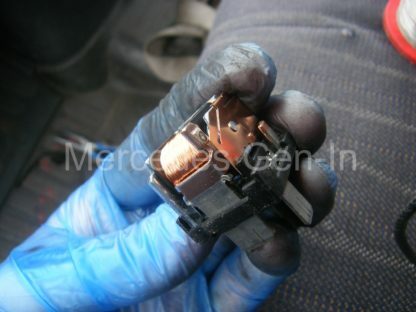 Without a doubt, if you are able to start the engine and get it warm, even loosen the clamp bolts five or so millimetres above the shoe clamp then rev the engine, what often happens is the injector gets ‘blown out’ a little under engine compression and once the carbon seal is initially broken, it can make subsequent extraction a great deal easier. Sometimes it works – sometimes not! 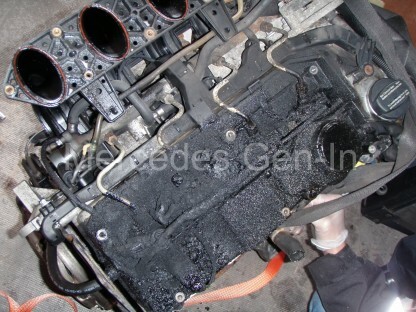 In my case I knew that the engine would probably not start as the seals were in such bad condition. As I turned the engine over clockwise using a 27mm socket/breaker-bar on the crank nut, you could hear the escape of air past the injector seal on each rotation. This was confirmed by localised spraying of WD-40 onto the suspect injector and watching it bubble/vaporise as air from the combustion chamber was forced by the injector during a manual rotation of the engine. 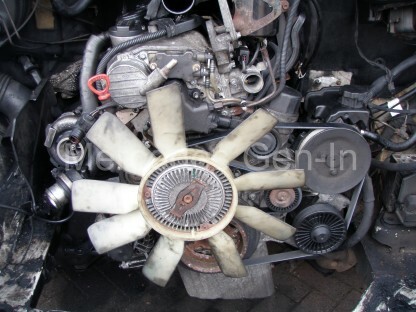 I had to proceed without heat or hot engine – always makes for interesting removal! Once the engine was fully installed, the injector power plug was removed, the bleed off return pipe unclipped and moved well out of the way. 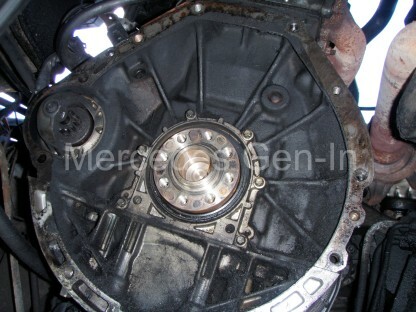 The steel diesel supply pipe and the injector union connection were removed with a 14mm spanner and 13mm socket respectively. As soon as the union was removed the hole was plugged with a small section of kitchen towel pushed into the tapped hole. This simply prevents any bits getting into the open hole while working to extract the injector. Rarely it is possible to clamp a pair of good mole grips to the injector solenoid fixing nut and rotate the injector ten or twenty degrees back and forth to loosen it in its bore, more often it takes a great deal more work! 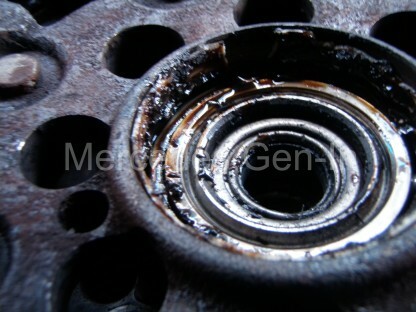 Using a searching penetrant or diesel itself is a good aid to getting things moving. This twisting method can be successful, though what usually happens once you start to get going is that the fixing nut undoes slightly and puts a stop to using that method of extraction, as it simply rotates upon the head of the injector body. What you have to do in this eventuality is grip the injector just below the solenoid nut and attempt to move the cast head part – rotationally back and forth. 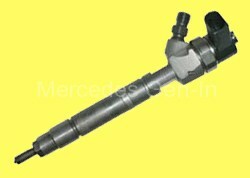 As the diesel supply union is completely removed, you will get the maximum chance of realising this important few degrees of movement, that will in time result in the total removal of the injector body. If you have a 24mm open end spanner or its imperial equivalent this is your key tool. If your area of work is the rear three injectors there is a little technique that may work for you. 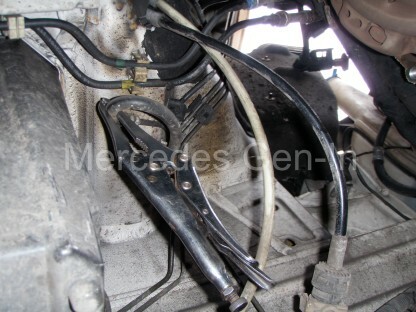 If you lay a 19mm combination spanner along the top of the duct that carries the injector wiring, interlocking the open end into the rear intake manifold support bracket, this will provide a sturdy supporting surface on which to lay the ‘operating’ slightly slack fitting, 24mm spanner onto whilst moving it back and forth. As you will probably only be able to shift the injector a few degrees back and forth at first, it is important to keep the area well irrigated with penetrant. As your movements get more dynamic, begin to press the back of the operating spanner down onto the 19mm rider. Keep pushing as you rotate back and forth. 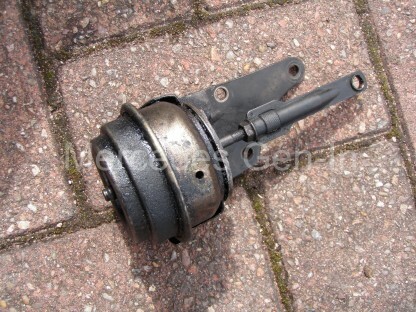 This induces a small lifting force under the solenoid nut from the 24mm spanner and as you move it, it will in time begin to raise the injector out from its bore. If your injector is at the forward end of the engine you will have to locate the 19mm ‘rider’ spanner’s open end somewhere up-front to fully enable this method, but it is not impossible! Eventually you will extract the injector – a feeling of achievement will appear as you take an inspection mirror and torch to peer into the blackness from where it came. 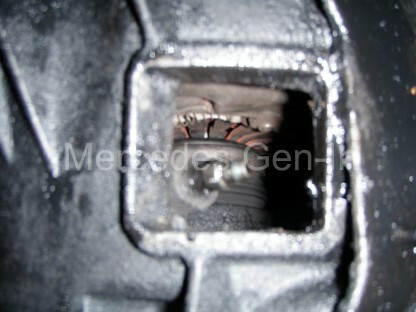 If you were lucky then the copper washer/seal will have accompanied the injector out of the hole. If not, a ‘rat-tail’ round file of suitable size, pushed into the hole will retrieve the seal without issue. 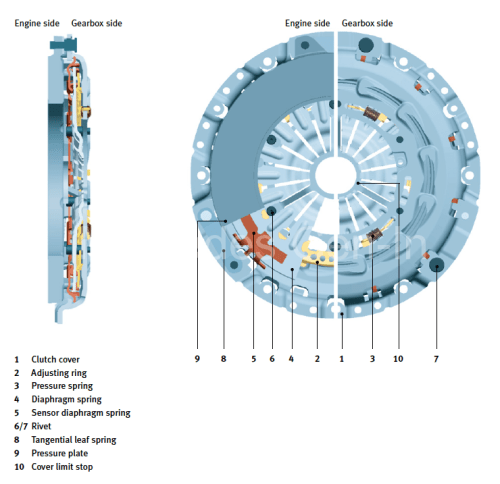 Now you can begin to inspect the seal itself, giving up many clues to the demise of its capability to hold pressure. Clean it with a rag and take a close look at its copper surfaces. If there are any scored lines, cuts or deep marking, this is the route the escaping combustion gasses have taken to ‘carbon-up’ your engine with ‘Black-Death’. Indeed any gas-cut passages in the sealing surfaces will have most certainly also cut into the aluminium injector seat and in severe cases damaged the steel injector face that mates with the copper seal. I would recommend always at least cleaning the recessed seat of any removed injector with a special tool made for the job. This special tool is a flat face end-mill or reamer with the correct diameter sleeve to cut or reface the base surface with some precision. 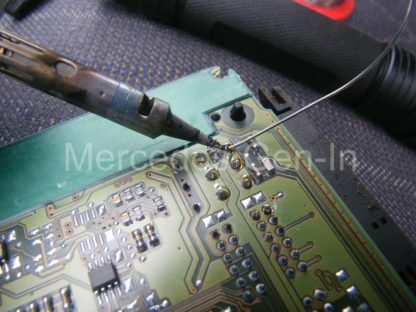 These tools are available from Laser for under £60 from most motor factors and are essential to DIY replacement and the successful re-sealing of injectors – experience has found in every case, if you don’t at the very least ‘lightly face’ and prepare the injector seat before reinstallation, you are not giving yourself the best chance of success, therefore I would get the proper tool for the job, period! 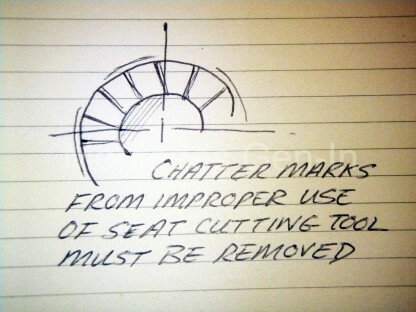 One or two rotations with the seating tool will be sufficient to enable you see if the seat is damaged in any way, using your inspection mirror and light. 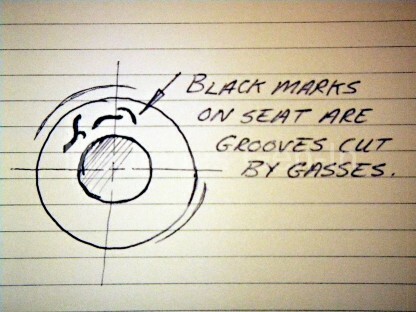 If there are any black marks on the seat (rather like worms!) as the drawings below show, then continue to use the seating tool, checking and wiping aluminium shavings as you progress to remove material. 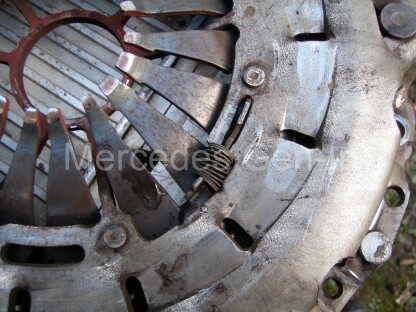 Eventually the tool will re-face the damaged seat to show a clean, uninterrupted ring of aluminium. It is possible if you do not fully rotate the tool when using it, mistakenly rotating the tool left to right rotationally, may cause the finished surface to have ‘chatter’ marks on it. This is surface unevenness that must be removed and is only achieved by turning the tool lightly and continually in one direction, stopping movement only as you simultainiously relieve pressure from the cutter. Inspect and clean often, to obtain the best surface finish possible. 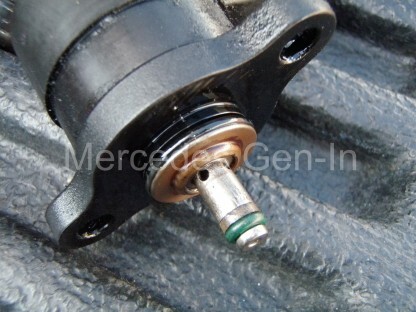 Now turn your attention to the face of the injector body that compresses against the copper seal. This must be free of any carbon build-up and ‘shiny clean’. You can take some fine emery paper and lightly work this surface until it is bright and continuously clean around its circumference. 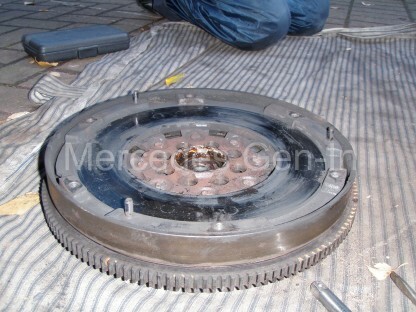 Now you are almost ready to reassemble! The injector hold down bolts are a one-time-use, stretch to yield fastening, that must be new and unused on each replacement. Cut a short groove with a saw file to make a thread cleaner out of the old bolt and use this to freshen up the tapped hole for the clamp bolt. Use a thin screwdriver to clear the oily debris from the bottom of the hole as it often builds up here and can if not removed, be forcefully compressed into a plug, causing it to burst through into the cylinder head water jacket – take special care to clean this hole out! If the thread is damaged in this deep tapped hole you have a number of repair options, these are covered briefly in this post. 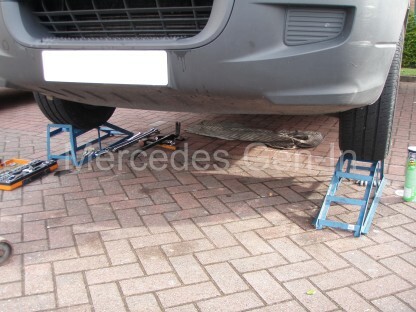 There are a few tips here that hopefully will help you achieve this sometimes daunting job, but with care, patience, the right tools and a little effort this can easily be done by a DIY mechanic.